^ "SoundCloud Cuts 40% of Staff in Push for Profitability". Bloomberg.com. 2017-07-06. Retrieved 2017-07-10. ^ "SoundCloud » The SoundCloud Desktop App". blog.soundcloud.com. Retrieved 2018-06-21. 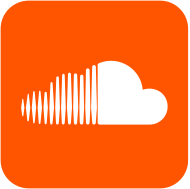 ^ "Get SoundCloud for Windows (Beta) - Microsoft Store". Microsoft Store. Retrieved 2018-06-21. ^ "SoundCloud for Windows [beta]". SoundCloud Help Center. Retrieved 2018-06-21.